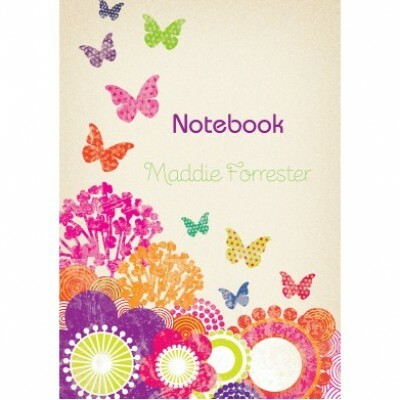 This colourful notebook with its cute butterflies would be a perfect gift for any stationary lover. 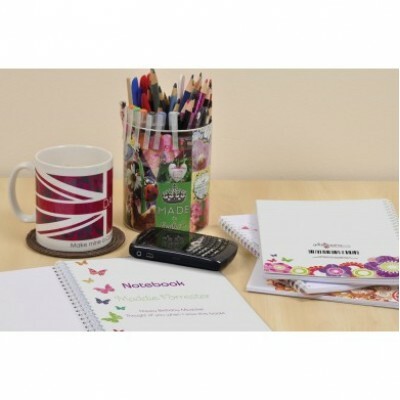 An A5 notebook with a colourfully cute design, personalised with any name and message on the first page. With 75 pages this notebook would be suitable for any purpose.